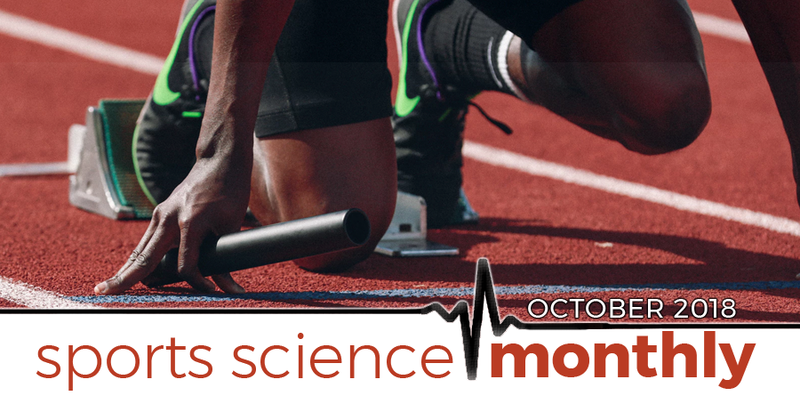 There are lots of hot topics covered in the October edition of Sports Science Monthly. We start off by looking at the transfer of different types of strength to sprinting, then see how monitoring can be taken best from theory to practice, before diving into density of high speed training, adductor strengthening, dehydration, transcranial direct current stimulation, and more. » Quick summary: Strength in an important component of speed, but we don’t necessarily know the best ways to train it. A recent study demonstrated that horizontal orientated exercises better enhanced acceleration, whilst vertical orientated exercises better enhanced maximum velocity sprinting. Resisted sled drags are also a useful method to enhance sprint speed, primarily during the acceleration phase. This month, a number of different papers exploring the interplay between strength and sprinting caught my eye, many of which I think deserve a closer look. This is especially important because sprinting is a fundamental movement skill in many sports, not just the sprint events in athletics, and the findings of the papers can have huge implications for how we might view strength training within a wider context. The first study we’re going to take a look at was published in PLoS One. Here, the authors aimed to explore differences in vertical and horizontally orientated strength/power exercises and sprint performance. As you might be aware, typically we can divide any force into its horizontal and vertical components. Over the years, there has been some debate about which is most important for sprinting; currently, the consensus, supported by experimental data, is that horizontal forces are important during the acceleration phase, whilst vertical forces become more important during the maximum velocity phase, when horizontal acceleration has ceased. This means that, when it comes to designing training programs, we might wish to alter the exercises we utilize depending on the overall goal of the training phase; when focusing on acceleration (earlier in the general preparation phase, for example), a greater emphasis on horizontal vector exercises might be optimal, whilst later in the training phases, when maximum velocity is being worked, vertical force orientated exercises may be more important. To test this, the authors put 16 well-trained, high-achieving sprinters and jumpers (both male and female), three of which competed at the 2016 Olympic Games, through a number of tests. These tests were vertical jump (both squat and countermovement), jump squat, half squat, hip thrust, and 60- and 150-meter sprints (in which splits at 10, 20, 40, 60, 100 and 150 meters were attained). Here, the jump and squat exercises are the vertically-orientated exercises, and the hip thrust is the horizontally orientated exercise. Overall, all of the exercises correlated very strongly with performance in all of the sprint distances. The correlation with performance in the half-squat was above 0.85 (which is very good) for all sprint distances, for example. The general trend was that performance in the jump orientated activities tended to have a stronger correlation with performance after 20-meter (for example, in the squat jump, the weakest correlation with performance was at 10 meters, and the strongest at 60 meters; the same was true for the countermovement jump). Conversely, for the hip thrust exercise, the strongest correlations were at 10-60 meters, with the correlation dropping off for 100 meters and 150 meters (although still a strong correlation). The half-squat was well correlated with performance in all sprint splits. Where does this leave us? Well, it gives us some pretty useful information. Firstly, we can use all of the tests from this paper as a monitoring tool, given the strong correlations between test and sprint performance. This allows us to develop a decent monitoring battery. We can also likely use these exercises to enhance sprint performance, although, given the difference in correlations between horizontal (better for acceleration) and vertical (better for maximal velocity) we might wish to alter the relative emphasis on these exercises to match the focus of the running based sessions, in order to maximize adaptations. The second paper explores the use of resisted sled training on sprint performance, in the form of a meta-analysis published in Sports Medicine. Overall, the authors identified 13 studies that could be included in the meta-analysis; these studies utilized a variety of loads, ranging from 5% to 80% of body mass, for the resisted sprints, and ranged from 4 to 10 weeks in duration. The distance covered per sprint also showed a great range, from 10 to 50 meters. When pooling the results of the studies, there was a significant, moderate improvement in sprint acceleration performance following resisted sled training. However, when looking only at studies that had a control group—the only way to know that the intervention itself was driving these improvements in sprint performance—there was only a non-significant improvement in sprint performance, which is an important aspect to keep in mind. Additionally, more frequent resisted sled training, defined as more than twice per week, was most effective. 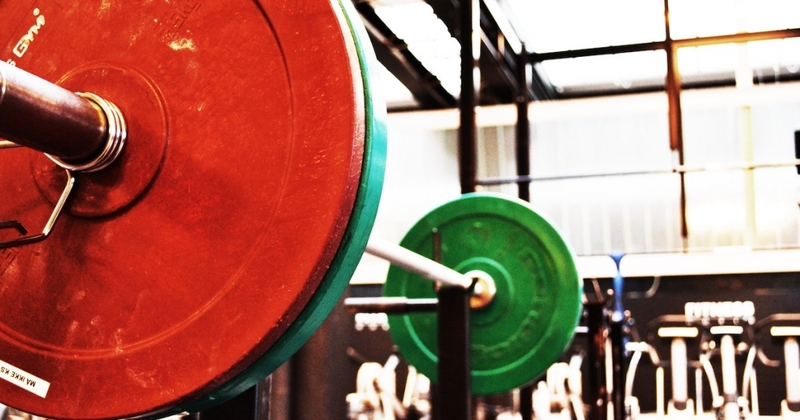 Other factors which enhanced the improvements seen following training were lower loads (of less than 20% body weight), longer training periods (of 6 weeks or longer), and greater training volumes (more than 160 meters per session, and more that 2680 meters per program). None of this should be surprising; essentially the findings are suggesting that an increased exposure (in terms of both frequency and volume) to resisted sled training enhances the improvements of that training modality, which is the same as any training modality. The results were less substantial when it came to improvements in the maximum velocity stage of sprinting. Here, resisted sled training had a non-significant improvement on performance, with an effect size of 0.27 (a quick statistical primer digression; there is quite a bit of back and forth at the moment as to the utility of statistical significance in sports science research. A significant result is often determined by a p-value of <0.05; this tells us the probability of us making the correct conclusion regarding the true effects of an intervention, but it doesn’t tell us the size of the change. As such, you can have a significant result that has no real impact, or a non-significant result that could have a large impact. This is (partly) because p-values are a function of sample size, and, sadly, sports science studies tend to have smaller sample sizes. As such, reporting the effect size is a good addition to the reporting of p-values, as it gives us some idea as to the true size of the effect. Typically, effect sizes of 0.2-0.5 are considered small, 0.5-0.8 medium, and >0.8 large). The effect sizes for the acceleration phase were 0.6 (although only 0.09 when a control group was present), suggesting that, potentially, resisted sled training has a greater effect on acceleration than it does on maximum velocity. Again, going back to the first study I profiled, this isn’t all that surprising; the acceleration phase requires a greater emphasis on horizontal force, and, as the sled is behind you, sled pulling works the horizontal component to a far greater extent. This paper tells us that resisted sled training is an effective method of improving sprint performance, primarily due to its ability to enhance acceleration performance. However, as the authors mention, due to the lack of control groups, we can’t say with certainly whether the resisted sled training is superior to methods that don’t use resistance. If using resisted sled training, it appears that lower loads of around 20% body mass are ideal (unless seeking to develop specific strength, as opposed to speed, adaptations), with higher training frequencies (2+ sessions per week), longer training block durations (6+ weeks), and with volumes of <160 meters per session are most effective.